Jesus told the woman that once He gives someone the gift of living water, they continue to receive a steady supply. We learn more about this a few chapters later. Here, we are clearly told this water is the Holy Spirit, and shown that the fountain Jesus spoke of in John 4 isn’t a tiny trickle that supplies just enough water for the person He gives it to — it is enough to supply a river that flows out from people who Christ is working with. As I talked about on Monday, we all need outlets to keep from becoming stagnate. We have to share what we have been given. 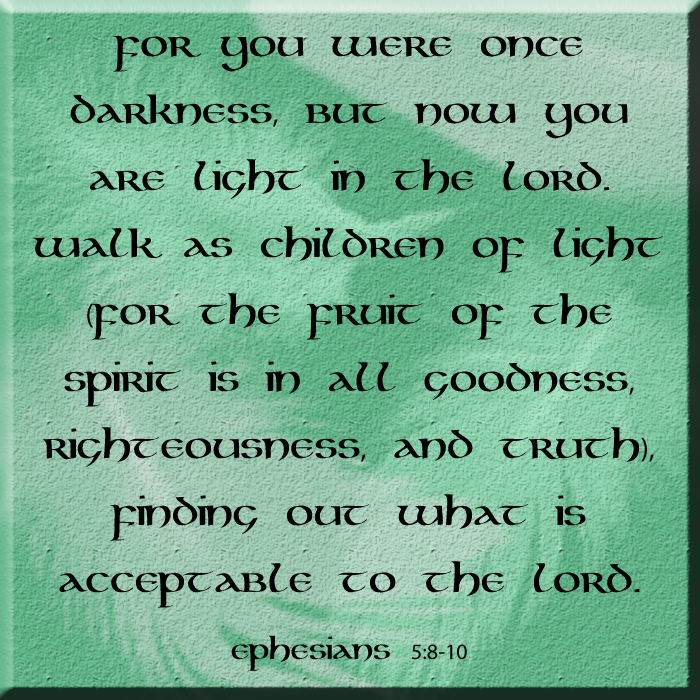 The Holy Spirit is supposed to be flowing through us an manifesting as fruits borne in our lives. “By this My Father is glorified,” Jesus said, “that you bear much fruit; so you will be My disciples” (John 15:8). To briefly re-cap the analogy from Monday’s post, the Sea of Galilee is a source of freshwater because it has both an inflow and an outflow. The Dead Sea, on the other hand, has no outlet and is filled with brackish water. We are like that too. We either flow with Christ’s living water, or we become dead. We can’t be both alive and hoarding God’s gifts all to ourselves — “Does a spring send forth fresh water and bitter from the same opening?” (James 3:11). 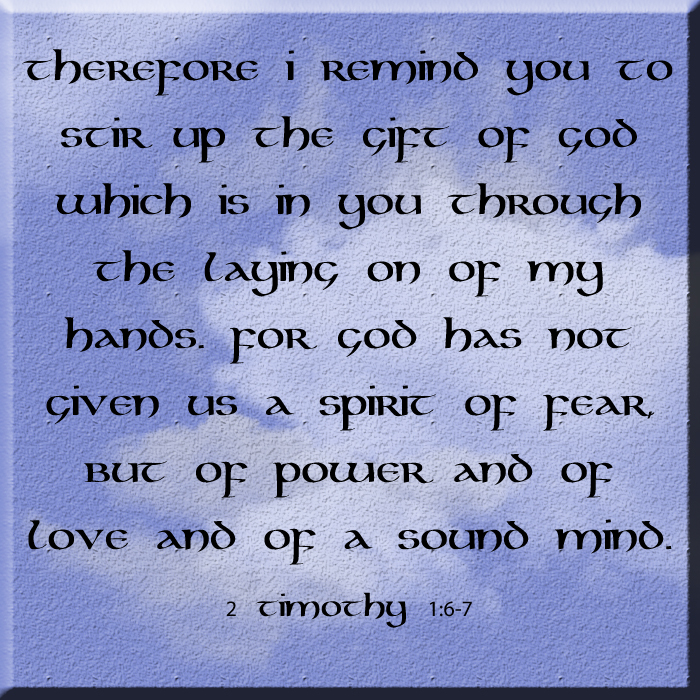 In 2 Timothy, Paul tells Timothy that he needs to “stir up the gift of God which is in you through the laying on of my hands” because “God has not given us a spirit of fear, but of power and of love and of a sound mind” (2 Tim. 1:6-7). A similar admonition is given to the whole church: “Do not quench the Spirit” (1 Thes. 5:19). There is a very real danger if we do not use the talents that God had given us (Matt. 25:14-20). We do not want to be the ones that the Father prunes out of the True Vine for lack of fruit. We are to become more and more skillful “in the word of righteousness” and at some point grow to the point that we can “be teachers” (Heb. 5:12-14). We need to learn this now, because in the future the Church will be teaching alongside Jesus Christ as His bride, living and working with the One who promises, “I will give of the fountain of the water of life freely to him who thirsts” (Rev. 21:6). If we don’t become a well of water now, overflowing with God’s spirit and the fruts thereof, we will not be included in the inhabitants of the city that flows with God’s living water. Thank you for your urging Marissa. What a great article and reminder for us all. Keep using the talents that God has given you. You have no idea who it may impact.